What does spastic cerebral palsy look like? 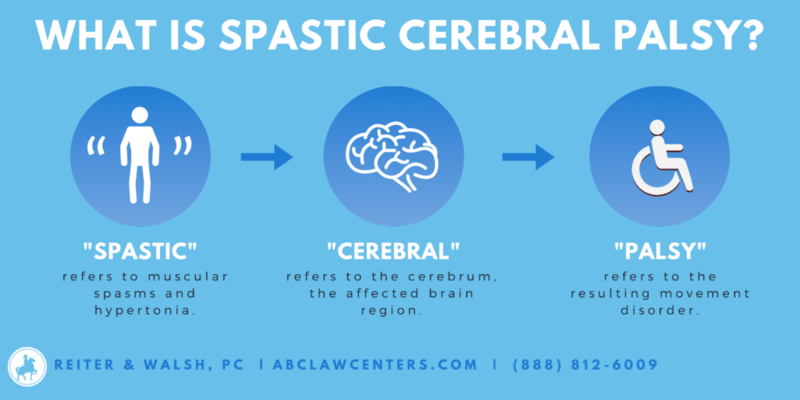 Spastic cerebral palsy (CP) is a disorder that causes problems with movement and balance due to a brain injury that occurs during or near the time of labor and delivery. Sometimes cerebral palsy is noticed soon after birth, but in other children, the disorder won’t be noticed until a few years later. Babies with cerebral palsy are often slow to roll over, sit, crawl, or walk, and may look weak and have poor head position. Cerebral palsy noticed a few years later in life is characterized by abnormal muscle tone, poor reflexes, and motor coordination, permanently fixed/tight muscles (spasticity), spasms and other involuntary movements, unsteady walking, problems with balance, and scissor or toe walking. Spastic cerebral palsy is the most common type of cerebral palsy, occurring in approximately 70 – 90% of all cases. Normally, muscles coordinate in pairs; when one group of muscles contract (tighten), the other group relaxes. This allows free movement. In spastic cerebral palsy, complications in brain-to-nerve-to-muscle communication occur and the balanced degree of muscle tension is disrupted. Muscles affected by spastic cerebral palsy become active together, which effectively blocks coordinated movement. Thus, the muscles in children with spastic cerebral palsy are constantly stiff, or spastic; they have stiff, jerky movements stemming from an abnormally high muscle tone, called hypertonia. The degree of spasticity varies widely from child to child. Balance problems and/or stiffness in gait can range from barely noticeable to necessitating wheelchair use. Above the hips, children with spastic diplegia typically retain normal or near-normal muscle tone and range of motion, though some spasticity may also affect the upper body. Additionally, because leg tightness often leads to instability when in an upright position, extra muscle tension usually develops in the upper body, shoulders, and arms due to the upper body trying to compensate for the instability of the lower body. Although it has its origins in a brain injury, spastic cerebral palsy can be thought of as a collection of orthopedic and neuromuscular issues because of how its symptoms manifest over the course of the person’s lifespan. Spastic quadriplegia in particular, especially if combined with verbal challenges and strabismus, may be misinterpreted as alluding to intellectual or cognitive dimensions to the disability, but this is false; the intelligence of a person with any type of spastic cerebral palsy is unaffected by the condition of the spasticity itself. Spasticity is simply a description of the movement disorder caused by the brain injury. An injury in the brain can cause spastic cerebral palsy without causing cognitive/intellectual problems. 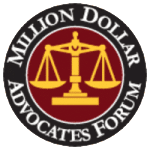 However, oftentimes a baby sustains a brain injury that causes damage to multiple areas of the brain, and the child can be left with spastic cerebral palsy as well as other conditions, such as intellectual disabilities and developmental delays. Hypoxic-ischemic encephalopathy (a lack of oxygen in the brain that causes white matter injury) is a form of brain damage that can cause spastic cerebral palsy as well as other conditions in a baby, such as seizure disorders and hydrocephalus. Spastic hemiplegia is when one side of the body is affected. Generally, injury to muscle-nerves controlled by the brain’s left side causes a right body deficit and vice versa. Typically, people that have spastic hemiplegia are the most ambulatory (able to walk) compared to people with other types of cerebral palsy, although they generally have a limping instability on the affected side and are prescribed ankle-foot orthotics to help prevent the instability. Spastic diplegia is when the lower extremities are affected, with little to no upper-body spasticity. Most people with spastic diplegia are fully ambulatory, but are “tight” and have a scissors gait. Flexed knees and hips to varying degrees and moderate to severe adduction (limbs move closer to the body) is present. This adduction problem stems from tight adductor muscles and comparatively weak abductor muscles. Gait analysis is often done in early life on a regular basis, and assistive devices, such as walkers, crutches, and canes, are often provided. Any ankle-foot orthotics provided usually go on both legs rather than just one. In addition, people with spastic diplegia are often nearsighted. Over time, the effects of the spasticity sometimes produce hip problems and dislocations. In three-quarters of spastic diplegics, strabismus (being cross-eyed) can be present as well. Spastic monoplegia is when one limb is affected. Spastic triplegia is when three limbs are affected. Spastic quadriplegia is all four limbs more or less equally affected. People with spastic quadriplegia are the least likely to be able to walk, or if they can, to desire to walk, because their muscles are too tight and it is too much of an effort to do so. Some children with spastic quadriplegia also have hemiparetic tremors, an uncontrollable shaking that affects the limbs on one side of the body and impairs normal movement. In any manifestation of spastic cerebral palsy, clonus of the affected limb(s) may intermittently result, as well as muscle spasms, each of which results from the pain and/or stress of the tightness experienced, indicating especially hard-working and/or exhausted musculature. Clonus is not the same as hemiparetic tremors. Clonus is a series of involuntary, rhythmic, muscular contractions and relaxations. The spasticity itself can (and usually does) also lead to very early onset of muscle-stress symptoms like arthritis and tendinitis, especially in ambulatory individuals in their mid-20s and early 30s. Spastic cerebral palsy can be helped by medical treatment pursued on a multitude of orthopedic and neurological fronts throughout life. In addition, surgery and many different types of therapy have been shown to help the symptoms of spastic cerebral palsy. Physical therapy and occupational therapy regimens of assisted stretching, strengthening, functional tasks, and/or targeted physical activity and exercise, are usually the chief ways to keep spastic cerebral palsy well-managed, although if the spasticity is too much for the person to handle, other remedies may be considered, such as various antispasmodic medications, Botox, baclofen, or even neurosurgery, known as selective dorsal rhizotomy (SDR), which eliminates the spasticity by eliminating the nerves causing it. Birth injury attorney Jesse Reiter (President of ABC Law Centers), has been focusing solely on birth injury cases since the beginning of his career in 1987; most of his cases involve hypoxic-ischemic encephalopathy (HIE) and cerebral palsy. 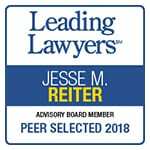 Partners Jesse Reiter and Rebecca Walsh are recognized as two of the best medical malpractice lawyers in America by U.S. News and World Report, which also recognizes ABC Law Centers as one of the best medical malpractice law firms in the nation. If your child was diagnosed with a birth injury (such as cerebral palsy, a seizure disorder, or hypoxic-ischemic encephalopathy), the award-winning attorneys at ABC Law Centers can help. In this video, Jesse Reiter discusses the causes of and treatments for spastic cerebral palsy.